Chicken saag is my favourite type of curry and having made it a few times on the stove, I thought I’d try it in the Thermomix. This recipe is based on an about.com recipe. I’m not a big a fan of biting into whole spices so the Thermomix is great for blending the spinach and spices into a smooth sauce. I love Saag! Cant wait to make this one! I am making this tomorrow night! Looks delicious. We prefer to eat chicken thigh though. Will give it a try. Cool! Let us know how you go… Chicken thighs would definitely work too! I’m just too lazy to trim off all the fat that comes with thighs which is why I use the breast meat. This was so, so tasty! The texture of the sauce was perfect with just the right amount of cardamom coming through. We are curry fiends in this house (even the 3yo) and this will definitely make a regular appearance on our menu. The instructions were easy as to follow too. Thanks for sharing! Absolute hit! The whole family and the friends we shared it with polished it off in a heartbeat! Awesome – glad to hear that you enjoyed it. 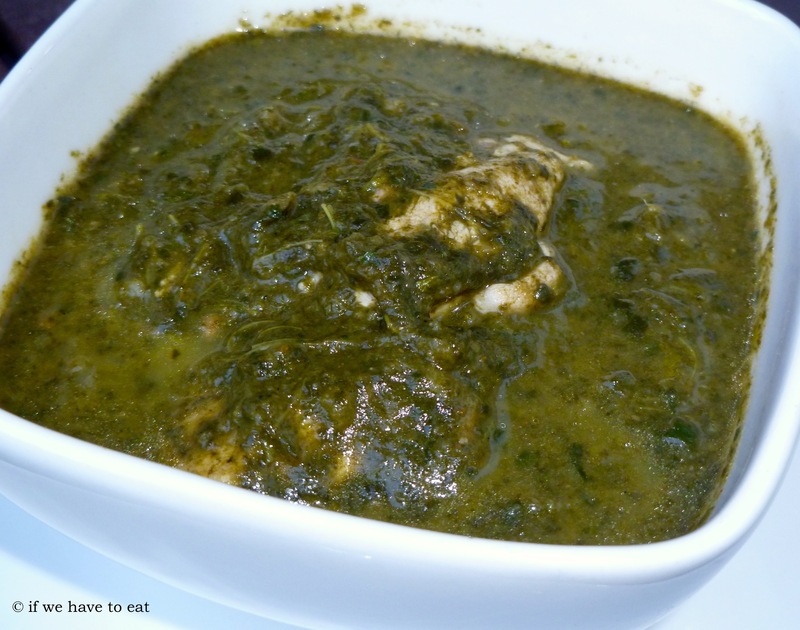 Love chicken saag and have only ever eaten it in a restaurant so would love to try cooking it in my thermomix. Thanks for the recipe, it looks delicious, however, was wondering if I could add cream or yoghurt as it normally has a very creamy texture. Hi Sandra, I’ve never tried this recipe with cream or yoghurt. Generally, I’d worry about them splitting in the hot sauce. If you want to give it a go, I’d stir it through after you’ve finished cooking the curry. Maybe put a bit of the curry in a small bowl first and add the cream or yoghurt to see how it goes. Hope that helps. Karen. This entry was posted on July 7, 2013 by ifwehavetoeat in Mains and tagged Curry, Feed a Few, Mains, Make Ahead, Poultry, Recipe, Thermomix.